There are a lot of beauty items I’m willing to shell out the big bucks for: skincare, foundation, perfume. But there are also a lot of items that I don’t go high-end for. Lip color is one of those things – I just can’t justify the $25 price tag for a department store lip color when there is such a huge range at the drug store that will do the same job. In the past, I’ve tried to think of what a lip color would have to do to get me to pay so much for it. Would it need to contain diamonds? No. That sounds like an irritant. Would it come with a free massage? No. I don’t even really like massages, but even if I did, that seems like the sort of thing one ought to buy separately. 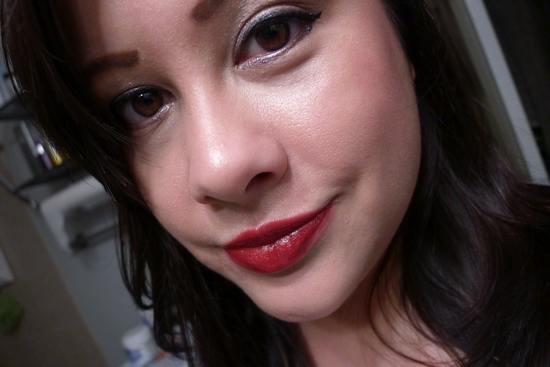 Then I discovered Shiseido Lacquer Rouge liquid lipstick, and I realized what a lip color needed to do to be worth $25. 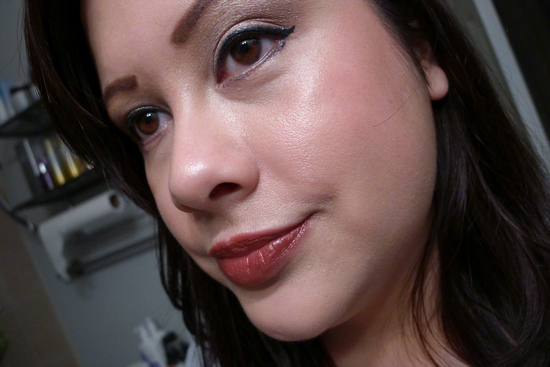 I discovered Lacquer Rouge via a deluxe sample I got with a Sephora order a few months back. I didn’t expect to be that wowed by it, but this stuff goes on like a lip gloss, moisturizes like a lip balm, covers like a lipstick, and stays on for hours. I’m talking many hours here – hours filled with eating, drinking, and talking. 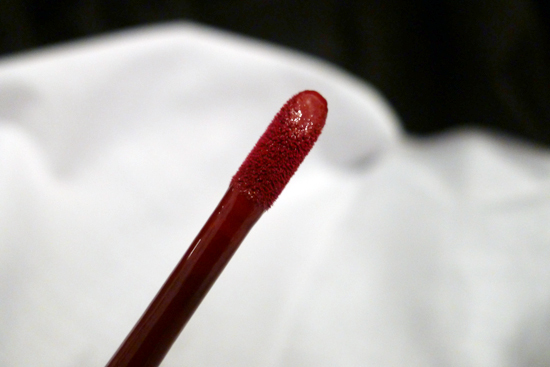 The sample color I received was “Nocturne”, a blue-based red that is both deep and bright. The texture is heavier than that of gloss stains like YSL Glossy Stain and L’Oreal Wet Shine Stain. For that reason, I wouldn’t classify it as a stain, even though it has the staying power of one. The first day I wore it I was at a UX design conference. They fed us well, and I did a lot of talking. I hopped back up to my hotel room about halfway though the day, and was surprised to see the color was still on my lips. Not only that, but my lips weren’t dry and flaky, which they normally would be with a long-wear color like this. It had faded a little, but some clear lip balm brought it right back to life. I was so impressed that I went to the department store and shelled out $25 for a full size. I decided to try a different color, something more neutral and wearable for every day. 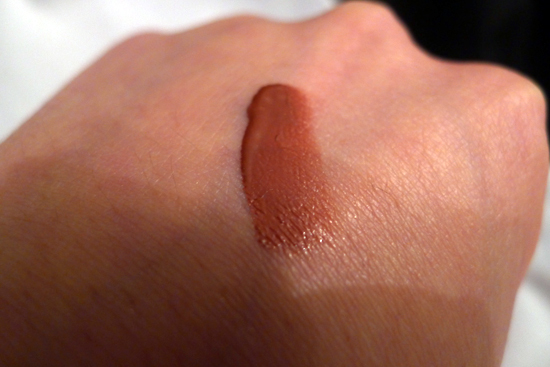 There are 12 shades available, but I chose “Savage” – a lovely, medium sienna. 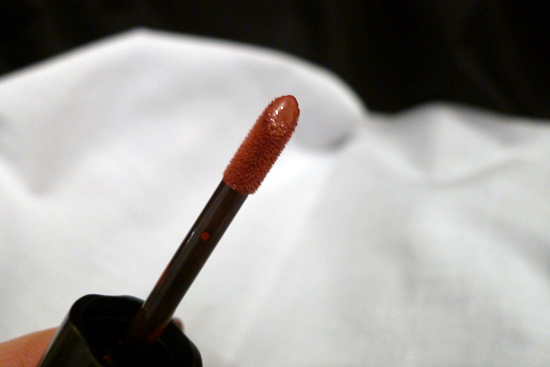 It’s a fantastic color that would work with any skin tone. If you aren’t feeling daring but you want to indulge yourself with some Lacquer Rouge, “Savage” is a safe but beautiful choice. 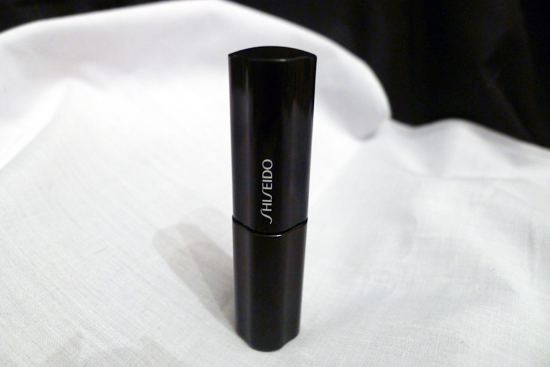 Shiseido says Lacquer Rouge is inspired by Japanese Lacquerware, hence the high shine of this product. It promises even, bleed-free coverage that is deeply moisturizing – and this product definitely delivers on those promises. The shiny, black, case, which is about the size of a standard lipstick case, looks like lacquerware as well. Because of the price tag, I probably won’t be stocking up on these. I think two is enough. Still, they’re a worthy indulgence, and I highly recommend it for anyone who is looking for a lip color with staying power that won’t dry out their lips. Sephora carries these, but I bought mine at Macy’s. They can be found on eBay too, though they aren’t much cheaper there than they are in the department store. Some of them are even more expensive! However, the deluxe sample size of “Nocturne” is available on eBay for $10, which is a nice buy for anyone who wants to give this product a test drive first. Hooray! I love lipstick, but the longest-lasting ones I own are Revlon Colorstay, which lives up to the name but leaves my lips incredibly dry. I like stains but hate having to reapply gloss to keep them looking fresh. This sounds like the perfect solution to both problems. 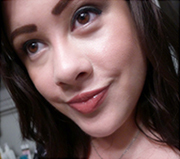 Yeah, I’m a Revlon Colorstay girl too. I still love them, but they dry my lips like the dickens. Now that Shiseido has it all figured out, I’m waiting for some good drug store dupes! 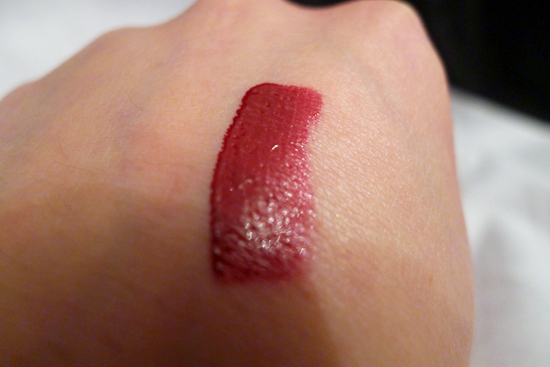 Luxe products like this lip color wonder exist to be “The Perfect Gift”. A somewhat high dollar item for an individual compiling an entire makeup collection, but as a stand alone gift of only $25, now we’re talking. Buy this for your favorite makeup fan and put it on your wish list too. That’s a really good point. As a price tag for a gift, $25 is a lot less daunting!